Please note that there’s been a school board approved change in the 2017-2018 district calendar to better account for numerous lost instructional days this winter due to the weather. March 15 and 16 which were scheduled to be workshop days, are now normal instructional school days. 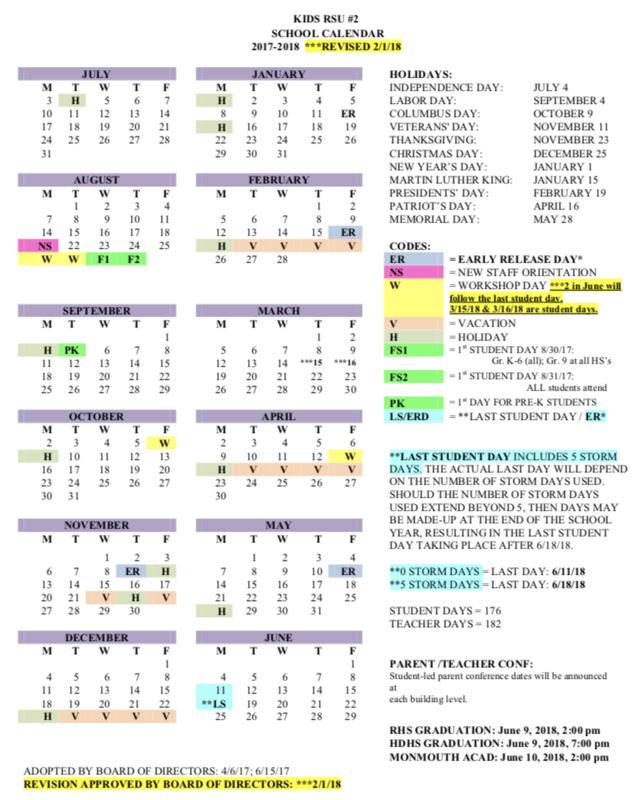 Please click the image below to see the revised calendar.